The Aoos river diversion project involves the construction of hydroelectric power plant, although areas are registered in NATURA 2000. There is opposition as the benefits are controversial. The project is temporary suspended, but included in the RBMP. 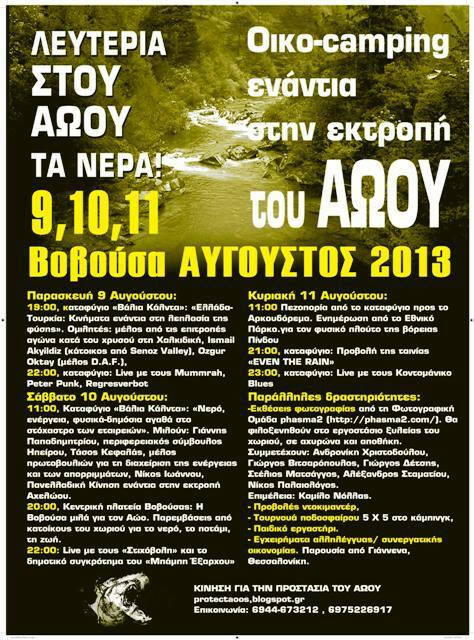 Aoos river is located in Central Greece. 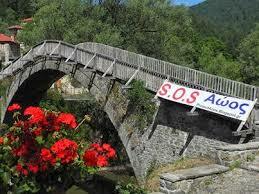 It emanates from the north Pindos mountains, crosses Albania and flows into Adriatic Sea. It has a total length of 260km, 70km of which flows through Greece. Eight areas are registered in NATURA 2000 Network in Aoos’ river basin. In the sources of Aoos’ river a dam was constructed in the 90’s along with a hydroelectric power station, retaining 100.000.000m3/year. The hydroelectric power station produces 210 MW. 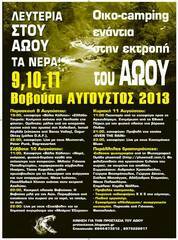 The water from the dam is diverted to Arachthos River, where two hydroelectric power stations are in operation. Due to the dam, the river’s flow velocity is reduced, water temperature has increased and poor water ventilation and oxygenation is observed. Fish species populations are decreasing, and some are extinct (the so called sirtari which resembles to the mullet). [1,2] The project of the diversion of Aoos river to Pamvotida lake in Ioannina is a plan dated since the 90s and it was promoted by a local member of the parliament. The main argument was the enrichment of Pamvotida lake that faces serious degradation due to over-exploitation and pollution. Since then there were several local stakeholders and central government officials who supported it. However, the local society opposed the proposed plan. Just before the 2009 national elections, the project was proposed again by the former Deputy Minister of Environment. The project includes the diversion of 70 mil. m3/year and the construction of two hydroelectric power stations of 8,8 MW capacity. At that time local and national environmental NGOs reacted to the proposed project, as it would provoked major degradation to the environment and the NATURA 2000 sites. The works for the construction of the 80 km long water canals would provoke major disturbance to the protected ecosystems. The new-appointed minister of Environment at that time declared her opposition to the project and reassured for its cancelation. In 2012, on the occasion of the elaboration of the River Basin Management Plan (RBMP) for Ipeiros water district, the project was included in the first phase of the Public Consultation for the RBMP. Following the intense reaction of local community, municipalities, local and national NGOs and the Nothern Pindos National Park Management Agency, and as the project violated the principles of the Water Framework Directive, the project was modified. 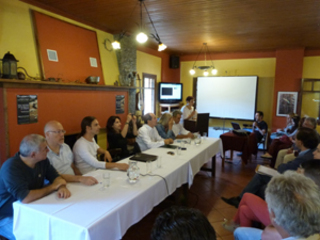 In the 2nd phase of the Consultation the project was presented as a hydroelectric one only, avoiding mentioning the enrichment of Pamvotida lake. Despite the objections, the project is referred in the RBMP as it was approved by the Ministerial Decision. 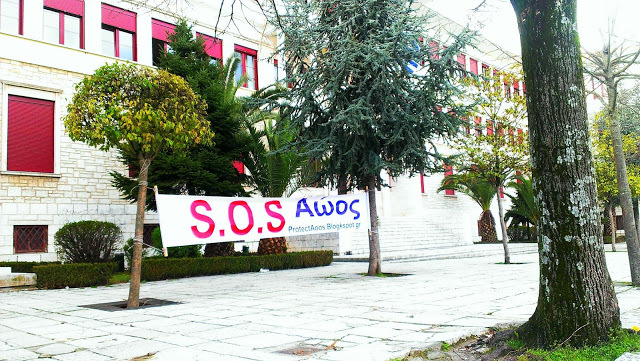 The Management Agency, along with the environmental NGOs WWF Gr and Kallisto, the Municipality of Konitsa and the Mediterranean Institute for Nature and Anthropos, filed an action against the approved RBMP before the Council of State. The decision hasn’t yet been issued, since the hearing in February 2015. [5, 6] According to scientific reviews, the transfer of water would not be the solution for the degradation problems of Pamvotida Lake. The pollution, as well as the construction of dykes and the real estate development across the lake are the main reasons and local movements and municipalities ask for an integrated management instead of water transfers from other river basin. Furthermore, according to the Nothern Pindos National Park Management Agency, the water transfer from Aoos would have incalculable effects on the ecosystems, while very little benefit for Pamvotida lake. [7,8,9] From the beginning of the declaration of the intention to divert Aoos river, local societies expressed their objections to the project. The reactions were intensified after 2012 and the inclusion of Aoos river diversion in the RBMP. 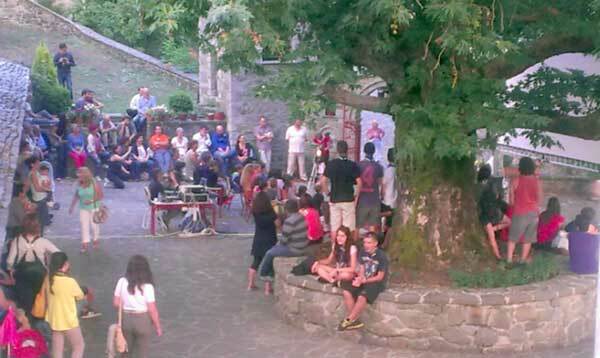 Tens of events and discussions were held, activities were organized by different groups (e.g. mountain bike tours, eco-camping, festivals, concerts, etc.). Online petitions were organized . The issue of Aoos diversion was also presented in European Parliament and the EU Commission for Environment, Maritime affairs and Fisheries in 2013 by Greek MPs. . 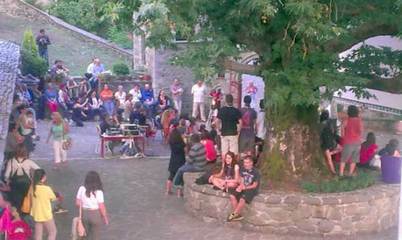 The social movement from Greece is in cooperation with Albanian movements, as there are plans for the exploitation of the river in Albania as well. It has also to be mentioned that, as in the wider area of Ipeiros there are many rivers, a strong local movement opposes to the construction of hydroelectric power stations, as the proposed projects will convert the rivers into close water pipelines with major effects on the ecosystems. Project Details Transfer of 70 mil. m3 of water per year to the Lake Pamvotis. Construction of 80 km long canal. Development of Alternatives As the main reason of the Pamvotida lake degradation is the pollution, the construction of dykes and the real estate development across the lake, the stakeholders who object the water transfer stand up for an integrated water management in the river basin and law enforcement in order to revitalize the lake. Furthermore, concerning the hydroelectric power stations that are foreseen to be constructed, the main argument is that the degradation of the protected ecosystems is of major importance and that the rivers should not be converted into close water pipeline, especially within NATURA 2000 Network sites. Why? Explain briefly. As the project is included as hydroelectric one in the River Basin Management Plan and as the decision of the Council of State has not yet been issued, it’s obvious that the case hasn’t been closed. Furthermore, the two companies that promote the project seem to be interested for its construction. Given this, there’s always the potential for the Ministry to proceed to the works.